The major Citroen event in the UK in this centenary year is getting ever closer, and you can now book and pay online! If you have already pre-registered with us, you should have received an email to let you know. We are now just weeks away from the major Citroen event in the UK in this centenary year – so it is time to book your place in this unique meeting if you have not already done so. Come and celebrate one hundred years of Citroen with us – this can never be repeated! Well over 300 cars are already booked-in, comprising a diverse mix from all four clubs and more, including international enquiries from as far afield as Australia! But this is just the start, because we are aiming to bring together over 1,000 cars, and we want you to be part of it! Why book in advance? It saves you money, because the on-the-gate prices will be higher! We can email you direct with updates. Also, the more advance income we have, the more features we can add to your event – we’d really like to know that you are going to be joining us! To book, simply go to: www.citroencentenary.org.uk and use our online system. We will also accept cheques and BACS transfers – please contact us. The current advance booking price is £45 for a car and all passengers for the entire event including camping - arrive on Thursday afternoon and stay until Monday morning. If you can’t make it for the full event, the advance single day rate is £20 for any one day for a car and all passengers. 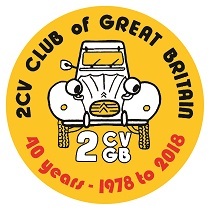 For 2CVGB Registers Day, there is a special Saturday only day rate of £10 for a car and up to two people – this will only be available on the gate and cannot be pre-booked. The website is regularly expanded and updated with the latest information, so bookmark it now! It includes useful links for tourist information and accommodation. If you are on Facebook, you can also visit www.facebook.com/groups/2299862476964766 for even more. We’ve said it before, but this actually is two events for the price of one, as a blend of a ‘conventional’ rally and a mobile event in conjunction with MotoFest - it’s everything you’re used to, and something else that you’re not! One thing is certain: this event will remain unique – there can only be one Centenary! First of all, this is the opportunity for all British Citroen owners to come together and celebrate 100 years of Citroen car manufacture. This is for people above all, then the cars. As enthusiasts, it is vital that we continue to support and promote the Citroen heritage, as indeed has always been the case. Our aim is to bring the marque’s heritage and achievements to the attention of the wider public by means of an outward-facing event. 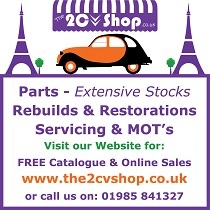 The location of Coventry is ideal for this, as the UK’s ‘motor city’ and Citroen UK’s base, with its central location and its role in hosting the hugely-popular MotoFest event. Although our Centenary is intended to be primarily a national rather than an international event, we are receiving increasing bookings from international visitors – and they are very welcome! Citroen UK are providing generous support for the Centenary, so let’s show our appreciation with a really exceptional display! For 2019, the extensive MotoFest publicity is leading with the Citroen Centenary story – we are becoming an integral part of the whole festival, attracting wide-ranging media coverage, and this part of our Centenary will be totally unique! The Coventry MotoFest is a two-day event being held from 1st to 2nd June 2019 in central Coventry. This event showcases almost everything automotive, including racing demonstrations, static displays, live music and anything else with a connection to Coventry and transport. This is the provisional programme – it is constantly being expanded, so watch the website for updates! Arrivals welcome from 3:30pm. There are full camping facilities, including hot showers. The first full day of the event; think of this as the Saturday of a ‘conventional’ rally. Display your car on the Avenue and have a good look around all the others there. Every participant receives a Rally plaque to display on their car. The entire event will be recorded on video – by drone, camera and GoPro, with participant interviews – this could be you! Citroen’s mobile exhibition unit will be present, together with club shops – special Centenary souvenirs! - trade stands, children’s entertainment and a range of catering. The Citroen Specials Club offers a ‘tulip’-style run, and all are welcome. Why not explore the historic Country Park itself – there are many attractions, including a children’s playground nearby. In the evening - live entertainment and bar in the marquee - catch up with old friends and new faces. The final full day at Coombe Park before the run to MotoFest tomorrow! Take part in the further displays on the Avenue, including the event photoshoot. 2CVGB will present the Registers Day display – A-series galore! Away from the site, you could preview the MotoFest activities in Coventry! The Centenary on the move – the 'Thousand car' convoy to Coventry leaves Coombe Park at 9:00 am to feature in MotoFest. All the cars will make a lap of the street circuit before entering the city centre to park up on display throughout a large reserved area including the Transport Museum frontage, Cathedral precincts and University quarters. Four cars - a Type A, a Traction Avant, a 2CV and a DS – will be displayed within the Cathedral itself throughout the weekend, to be complemented by many other models right outside. Overall, this is likely to be the largest and highest profile Citroen Centenary Celebration outside France. Stroll within the city centre – both historic and modern – and see the other thousand classic cars present; visit the Transport Museum at no charge. See Citroen UK’s display on Greyfriars Green, right above the circuit. 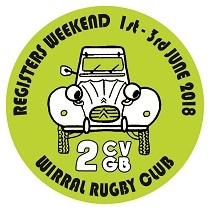 Very near the Cathedral, Drapers Bar will be offering a special menu and real ales; owner Peter Knatchbull-Hugessen is a 2CV enthusiast, and welcomes all participants. In the evening: join us for an informal evening gathering in the marquee – stay over until Monday morning. Departure day – site closes at noon. The success of this event depends upon its volunteers, and our thanks to all who have already come forward. If you would like to help please let us know now – don't keep it to yourself, as forward planning is vital. Be part of a unique event – there can only be one Centenary! Note: For those who do not camp, it is advised that you book hotel rooms, B&B etc etc early as the MotoFest event itself attracts a lot of people and hotel occupancy in the city is nearly 100% during that weekend.